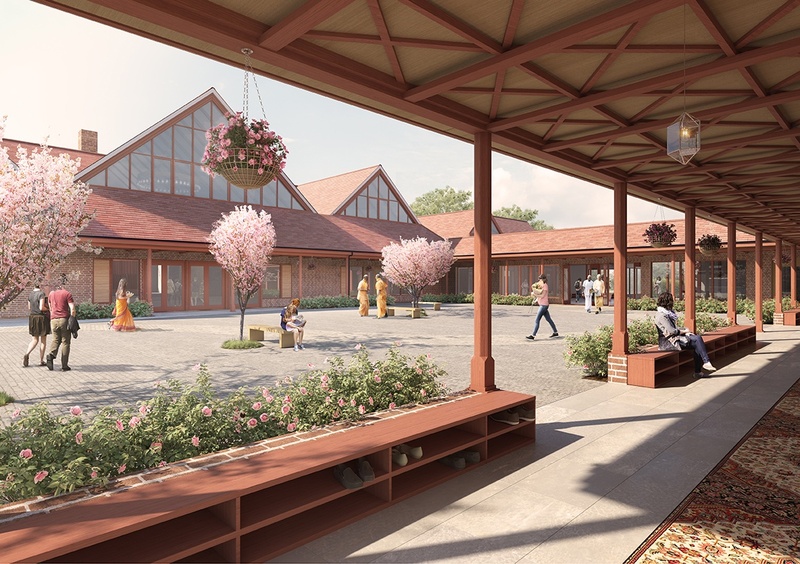 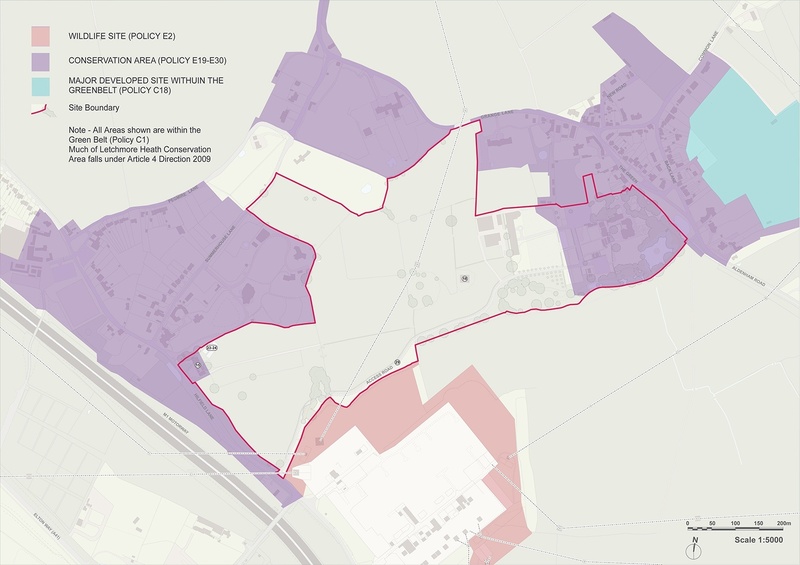 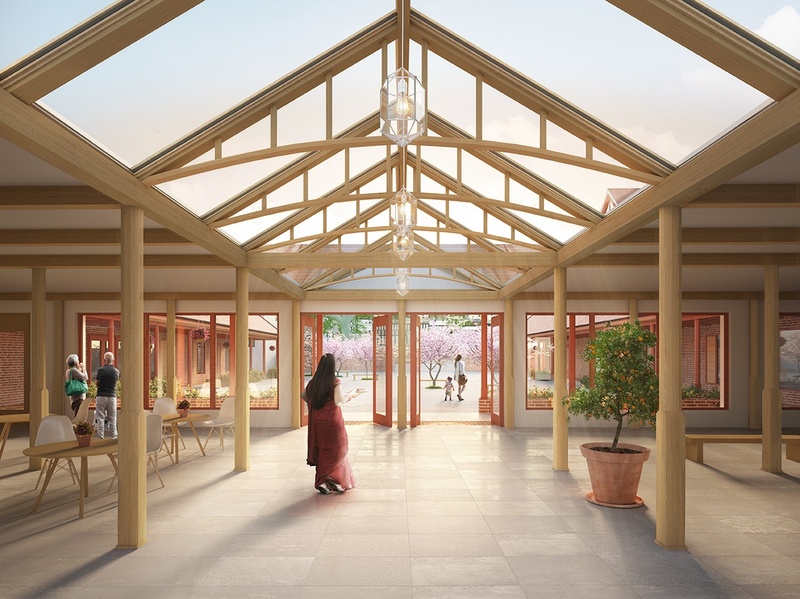 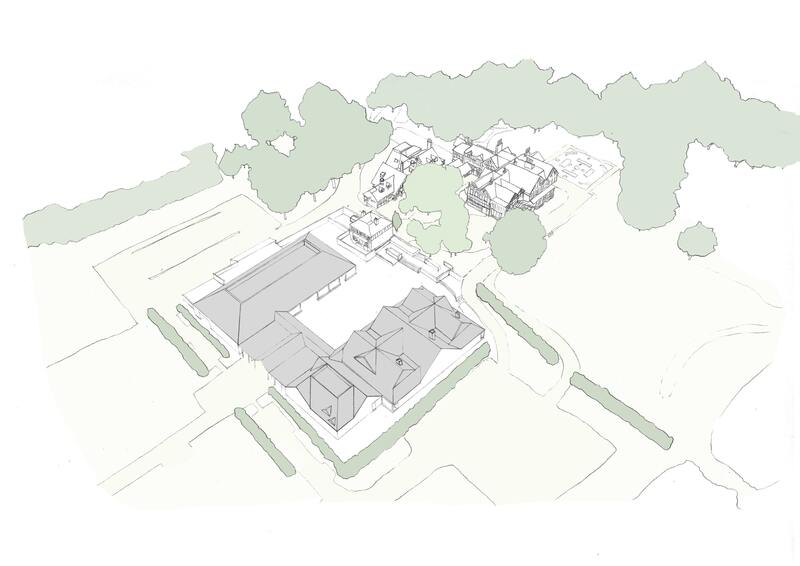 Cottrell and Vermeuelen Architecture are set to build a new two-storey haveli in the grounds of Bhaktivedanta Manor: a Hindu temple in Hertfordshire. 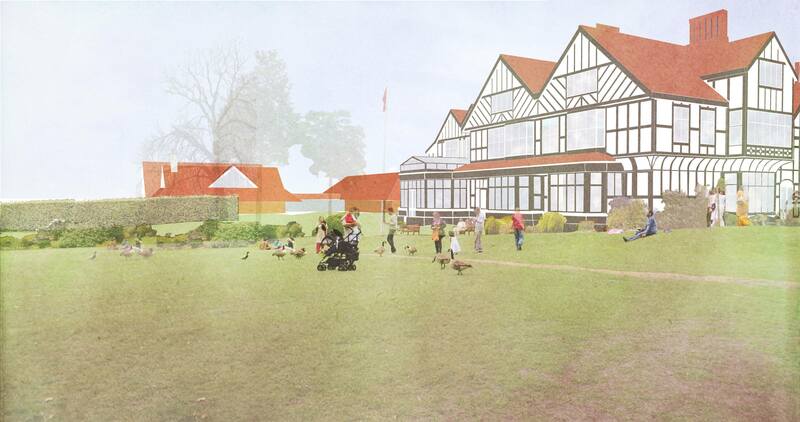 Bhaktivedanta Manor is a large Grade II listed building, situated within larger ornamental gardens and an agricultural estate at Letchmore Heath. 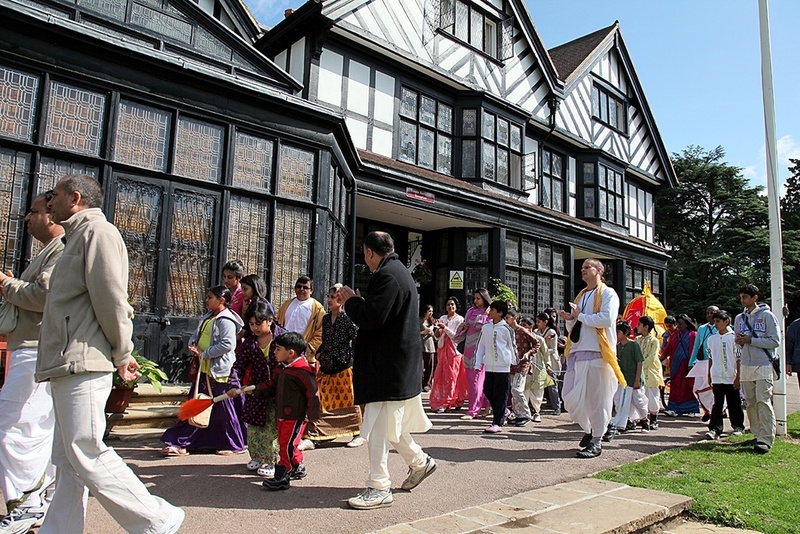 The manor is a special place of worship for a large Hindu community who use the building as a location to bless newborn children and conduct marriage ceremonies, in addition to everyday worship. 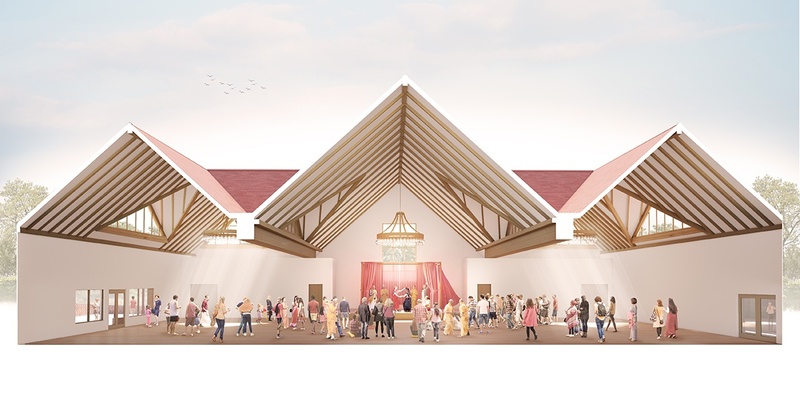 Our proposal introduces new worship and community facilities to meet the growing needs of the Hindu community both locally and nationally.